A loan of $850 helped to buy tripe, a variety of meat, and all types of vegetables. Mrs. Iveth is thirty-two years old and lives with her husband and two children in the town of Jícaro Galán, in the department of Valle. She is a hardworking woman with the desire to get ahead. Among the small plates and savories that Iveth offers are the plates of soup with tripe, snacks like tacos, plaintain chips and enchiladas. Her customers prefer them because of the quality and the good prices. Iveth is requesting a loan to buy the inputs to make the dishes such as; tripe, a variety of meats and all types of vegetables. She takes this opportunity to thank Kiva and Prisma for the support offered all this time and she hopes to change her life through the credit services. Her dream is to buy some land. Translated from Spanish by Kiva volunteer Rhonda Sarnoff. View original language description. 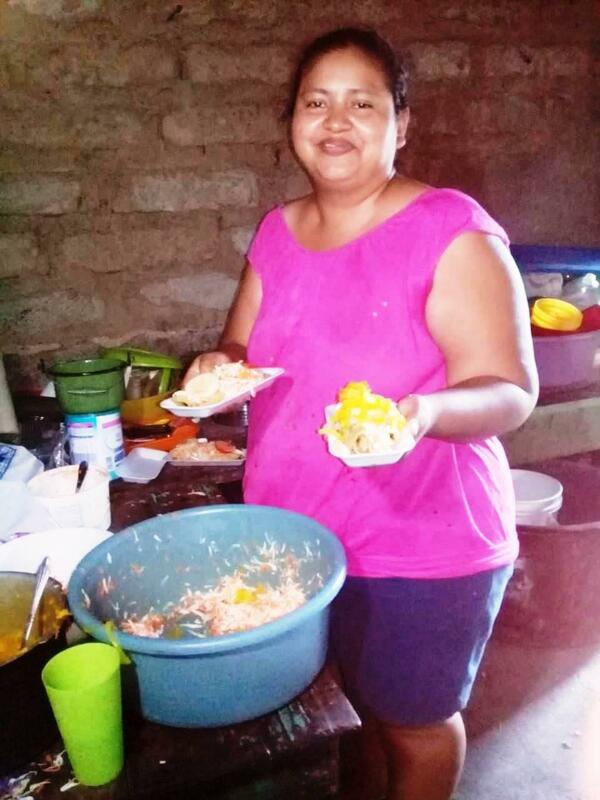 La señora Iveth de 32 años de edad vive junto a su esposo y sus 2 hijos en la Aldea Jícaro Galán, Departamento de Valle, es una Mujer muy trabajadora y con deseos de salir adelante, se dedica al negocio de Elaboración y venta de Golosinas, desde hace varios años sus clientes son los vecinos, amigos y familiares también personas que llegan a jugar futbol al campo de ya que su casa está frente al campo de la Aldea, entre los platillos y golosinas que la señora Iveth ofrece están Los Platos de Sopa de Mondongo, golosinas como tacos, tajaditas, enchiladas etc. sus clientes le prefieren por su calidad de atención y sus buenos precios. Está solicitando el crédito para la compra de materia prima para elaborar sus platillos como ser: mondongos, variedad de carnes, verduras de todo tipo etc. Aprovecha por este medio a darle las gracias a Kiva y a Prisma por el apoyo brindado en todo este tiempo y espera cambiar su vida por medio de los servicios crediticios. Su sueño es comprarse un terreno. It provides credit to some of the most isolated communities in Honduras. This loan is administered by Prisma Honduras. Prisma is one of Kiva's first field partners in Central America and has funded over 2,500 entrepreneurs through Kiva since 2008. Prisma funds smaller than average loans for micro-entrepreneurs to help them grow businesses in urban and rural areas. To improve living conditions in Honduras, the organization strives to empower women who lack access to traditional financial services, and promotes solar panels to deliver clean, affordable electricity to rural areas. Through its four branches in southern and central Honduras, Prisma provides access to financial products to some of the poorest and most isolated communities in the country. PRISMA Honduras, S. A has been a Kiva partner since 2008. Prisma’s roots can be traced back to work they originally did in financing small agricultural loans at a Honduran cooperative called FINACOOP. Since then they have expanded their operations and are currently servicing clients in several Honduran departments. As a small microfinance institution, Kiva’s funding has been critical to help Prisma continue to grow. Prisma has also recently piloted renewable energy loans, providing solar powered devices to clients that are off the electric grid that will be financed through Kiva. Kiva is proud to be able to provide financing to Prisma during a time that has been turbulent for the Honduran microfinance industry.